The Motorola MC3100 has reached end of life. It has been replaced by the Motorola/Zebra MC3200. 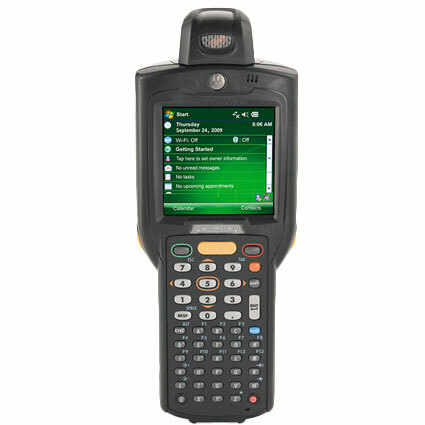 The Motorola MC3100 Mobile Computer improves on the great-selling MC3000, offering advanced durability and communications technology ideal for work within any business. 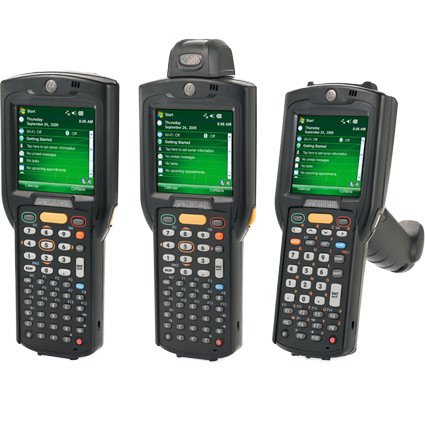 Available in 3 distinct designs, the MC3100 runs Windows CE 6.0 or Windows Mobile 6.5, ensuring compatibility with a wide variety of mobility applications. 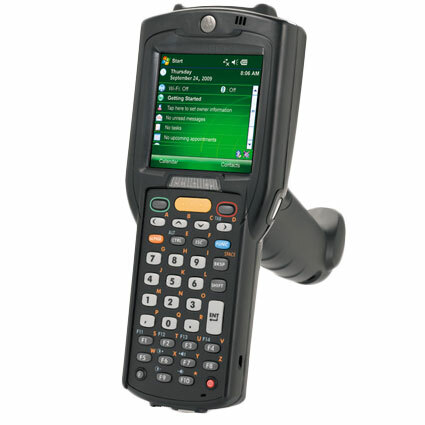 With your choice of laser scanner or 2D imager, data capture at your business has never been easier. Ideal for rough industrial environments, the MC3100 is sealed against windblown dust & water splashes, and the reinforced body can survive drops of 4-feet to concrete. 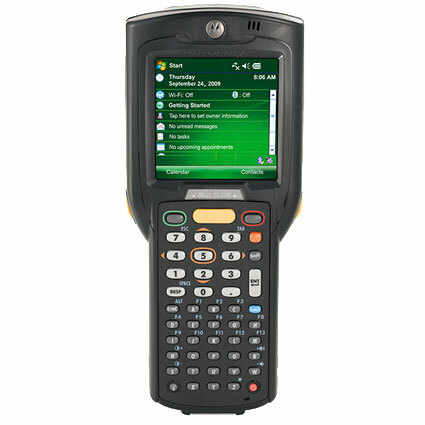 The mobile computer can also operate in temperatures as low as -4° F, so outdoor or cold storage use is not an issue. A 1 year warranty is standard for the MC3100, with additional service plans from Motorola to extend the return on your investment. • Straight Shooter Imager or Laser: 3.25" x 7.49" x 1.77"
• Rotating Turret Laser: 3.25" x 8.55" x 1.57"
• Gun-Style: 3.2" x 7.5" x 6.5"